Future of Cloud Computing from a broader aspect is quite glorious from providers’ aspect, middleman’s aspect and users’ aspect. Within past two years Cloud Computing the growth of Cloud Computing is quite sharp and future of Cloud Computing is the future of Technology. In this article Future of Cloud Computing, we have divided the aspects in to three parts or components – providers’ aspect, middleman’s aspect and users’ aspect. Because, what ever Cloud Computing has its offerings as a derivative of Virtualization, Future of Cloud Computing is fully dependent on cost effectiveness and Return of Investment. The first and foremost important component of any technology to be successful is its consumer audience and their attitude. With traditional web hosting, it was not possible to offer a Virtual Private Server at $12 / month. Still today, the end users are yet not fully aware of this simple fact that almost at the cost of a Shared hosting using traditional technology, a Cloud VPS can be used. Increasing acceptance of Cloud Hosting for medium to bigger blogs and websites clearly denotes that the future of web hosting is towards Cloud, indicating the future of Cloud Computing does have a good market. Middleman means the resellers in the field of web hosting. It was almost impossible for a traditional web hosting to begin a web hosting business with very small capital money. However, with Cloud Computing, various middleman segment can start a business based on Cloud Computing with a very low capital money. 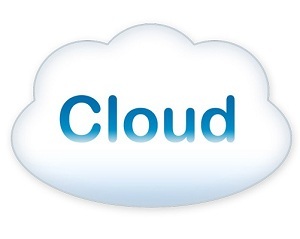 This requirement of very low capital money is depicting the future of Cloud Computing to move forward. The cost of initialization of own Cloud Computing infrastructure is quite big. However, as the number of such bigger infrastructure providers are less, they need not to invest much on Advertisements – Amazon, Rackspace, VMWare, CISCO and others need not to compete with Advertisements as it was needed ago by the bigger web hosting brands. This is creating lesser need of other expenses and the cost determined by the original providers becoming less – this is definitely a big plus point for the future of Cloud Computing. This Article Has Been Shared 4501 Times! Best Cloud Computing Web Hosting Service Providers needs some application, support and features or offers. Best Cloud Computing Companies has been evaluated. Cloud Computing Disaster Recovery needs a Strategic cooperation in the field of Data Center. New Customers and International expansion has increased the usage. Cloud Computing Industry is leading the Internet and it is the future of computing – either adapt Cloud Computing now or remorse for not being aware in time. Is PaaS Model of Cloud Computing is the Future Mainstream ? Is PaaS Model of Cloud Computing is the Future Mainstream ? The question arises in the situation, where PaaS services and Application PaaS are becoming popular. Cite this article as: Abhishek Ghosh, "Future of Cloud Computing : From a Broad Perspective," in The Customize Windows, February 11, 2012, April 19, 2019, https://thecustomizewindows.com/2012/02/future-of-cloud-computing-from-a-broad-perspective/.